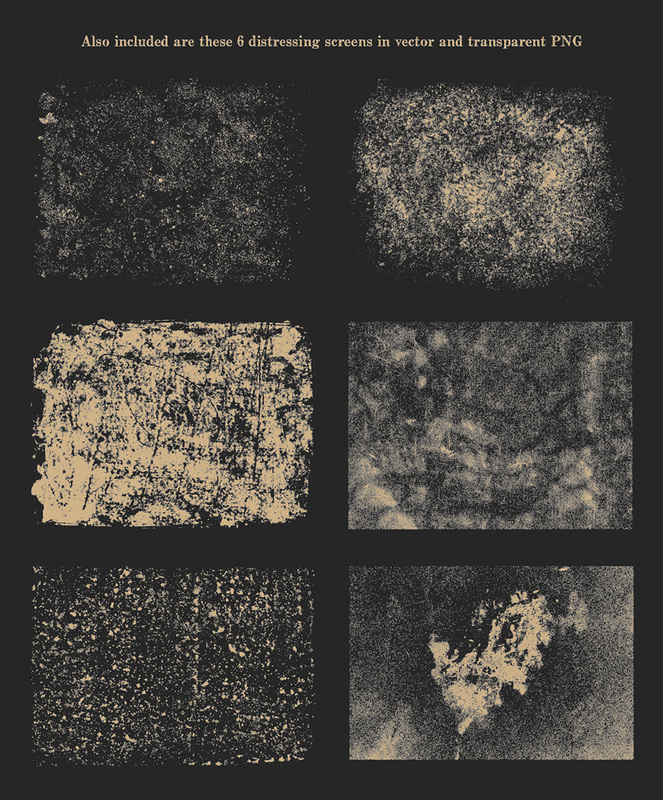 After launching our first typeface at the beginning of June this year, I knew it was time to work on another font. I’ve continued the theme of the ghost towns of the Southwest, inspired by my road trip through there some years ago. This one is named for the semi-abandoned town of Goldfield, NV. This former boomtown on U.S. Route 95 came to life in 1902 when gold was first discovered here. By 1904 the Goldfield District had yielded some 800 tons of ore. That was worth roughly $2,300,000 back then. Much of the town was destroyed by fire in 1923, but some buildings still remain and gold exploration still goes on around there. This weathered font is reminiscent of the old metal stamped plates you might find on the sides of old mining equipment that has long since seen any use. 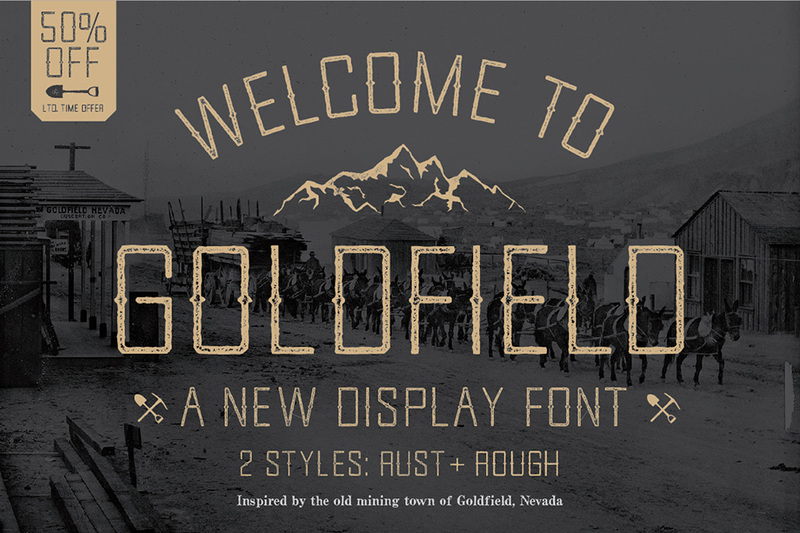 GOLDFIELD ROUGH (which has a rough outline) and GOLDFIELD RUST (which has the same rough outline as well as being distressed) are supplied in both .OTF and .TTF versions. 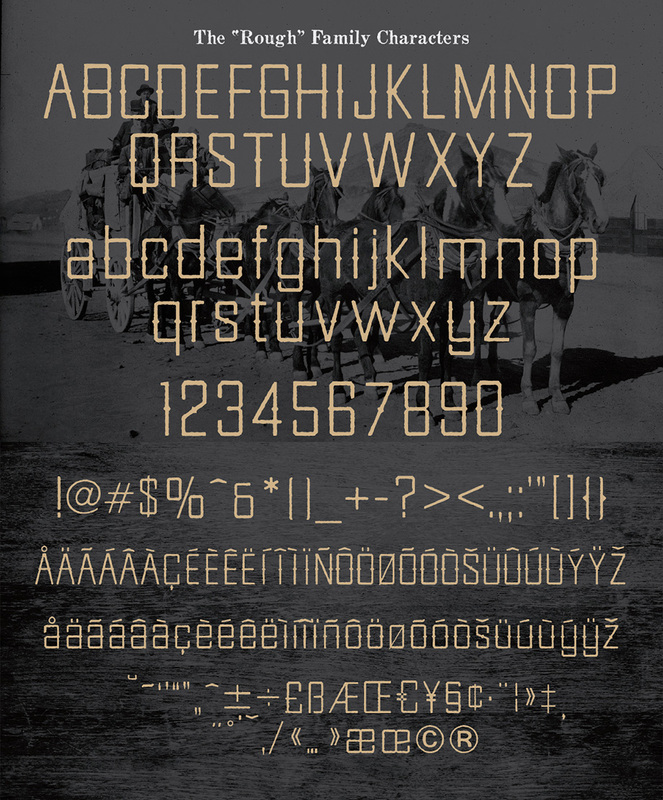 Each font has upper and lower case as well as numbers and special characters. This is a multi-lingual font. SPECIAL: We are offering this font at 50% off through the end of July 2015! Click here for details or to purchase this font in our Creative Market Shop.